If you’re in search of a Therapist in Tampa that can assist with treatment from trauma and PTSD, Dr. Barbash of Tampa Therapy has advanced training in the treatment of trauma-focused therapy. PTSD is highly treatable, but requires you to step forward, stop avoiding, and actively pursue treatment. You can have a better quality of life in a few short weeks to months. Immediately after experiencing trauma, people can develop Acute Stress Disorder (ASD), which is a response to a traumatic event that occurs within one month of the event and includes dissociative reactions. ASD is highly predictive of Posttraumatic Stress Disorder (PTSD), and when symptoms persist for more than one month, the diagnosis of PTSD is relevant. However, one does not necessarily need to meet criteria for ASD to later develop PTSD. 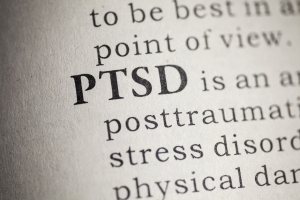 PTSD is a longer-term, or chronic, post-trauma response that develops as a result of directly experiencing or witnessing a traumatic (i.e., terrifying) event. Whether you are a veteran who experienced combat trauma, you survived a natural disaster, crime or terrible accident, learned of a loved one’s sudden death (particularly in a traumatic or difficult way), witnessed a shooting, or experienced a sexual assault, you may find yourself feeling “changed” by what you’ve endured. People have incredible strengths in the face of such disaster, but at times it is too much – even for very capable people – to heal on their own. That is where trauma-focused therapy can help you restore life to its rightful place, even if you are forever changed by what you’ve experienced. Psychotherapy is the most effective form of treatment for healing from the effects of trauma. It is important to note that not every case of trauma results in PTSD, but trauma-focused therapies can still be very helpful in healing from the event(s). We provide a comprehensive evaluation for PTSD and three unique evidence-based trauma-focused therapies, which are treatments that are shown by research to be effective in treating trauma and PTSD. If you’re in search of a Therapist in Tampa that can assist with treatment from trauma and PTSD, Dr. Barbash of Tampa Therapy has advanced training in the treatment of trauma-focused therapy. She will work with you to identify your specific concerns and problem areas, and collaboratively develop a treatment plan that best fits your needs.